A collection of maps based on various locations around Birmingham, all Duked up with aliens, weapons and key cards and such. 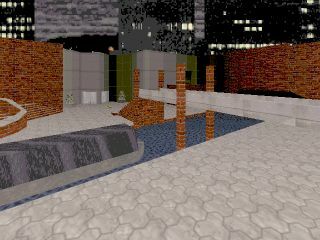 Granted, level design is rather a bit poor at times (but then, you could attribute this to the design of the city itself =), but there's always plenty of savage alien blighters to fend off and a wide range of nicely recreated buildings to look at. Shadow work is minimal, detail mostly non-existent, especially in the first couple of levels. 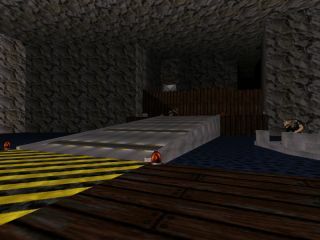 And there is a reason why the nuke button for the first level can be found without opening any doors at all - take a look at the text file included to find out. 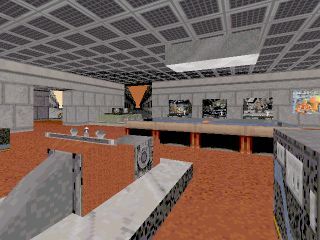 So there's plenty of space to run around and dodge rockets, lasers and whatnot, which makes many of these levels fairly easy - however, running in carelessly and shooting around a bit will soon result in a bit of general deadness. 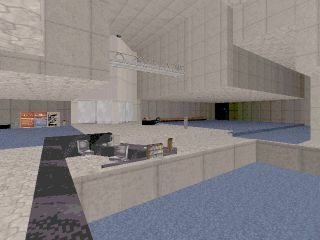 If large, empty levels aren't your thing you may well find this episode disturbing - but don't let that stop you. 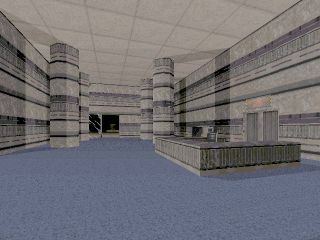 I've taken the liberty to GRP together the maps, along with making the CON file compatible with the Atomic version of Duke3D, as opposed to regular old 1.3d. Just run the appropriate BAT file to get going. The original archive has also been included. THIS EPISODE IS NEITHER MADE BY OR SUPPORTED BY 3D REALMS. "I`m Duke Nukem, and I`m coming to get the rest of you Alien Bastards!" summit, Eurovision song contest and the Davis cup. easiest engine to edit that I`ve found. Other Levels		: None, this is my first upload. Pallasades, a shopping mall above the station. Sushi Resturant in the Pallisades, for example). don't think this matters too much. if the urban levels are themed, as mine are. extra goodies on each level. enjoy your visit to England's second city! televisions and you`ll see what I mean). -I`ve tried to get Duke to say as much as possible. 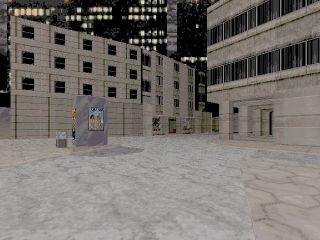 have ledges like in the proper Duke3d episodes. -Most of the levels are too big for 2 player games. are American e.g. "Centre" not "Center"
fun to play, which is all that counts really! Additional Credits To : -3d Realms of course. And Birmingham`s town planners! Special thanks 	      : My testers - Jake, "Reckless" Rick, Frew and Viet. Episode and Level #    : The whole first episode! Level Editor(s) Used   : BUILD - I love it! Construction Time      : About 3 months. Installation           : Just copy all the files to your Duke3d directory. Important Notes        : Please Please Please give me some feedback on this. rounds in your pistol. Play fair or don`t bother. and if you use my ideas or bits of my maps in yours please give me some credit! Page generated in 0.2570 seconds.